Cherry Hill West's Football team ended victorious in the annual homecoming game. 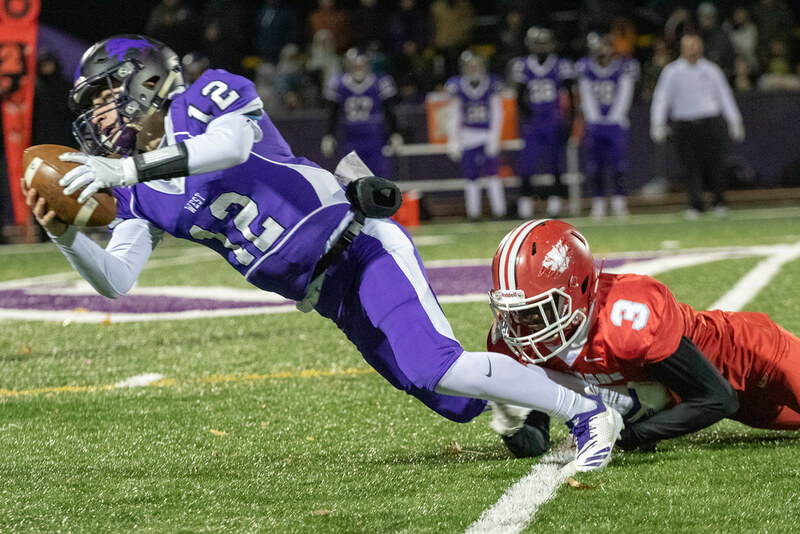 In the 50th annual Cherry Hill rivalry football game, the Cherry Hill West Lions retain the “Boot” trophy and maintain their six-year winning streak against their cross town rivals, the Cherry Hill East Cougars. The Lions defeated the Cougars 22-7 with large contributions from running back Johnny Ioannucci (‘20) and quarterback Nick Arcarolli (‘21). Although an adequate performance by the Cougars, the team lost an important player in the first half as running back and linebacker Nick Gazzola (‘19) torn his ACL. The Lions immediately demonstrated their explosiveness, as Ioannucci turned a short pass from Arcarolli into a forty-yard touchdown just 92 seconds into the game. The two connected several other times throughout the game, including another 20-yard touchdown. Ioannucci had three receptions for 99 yards and two touchdowns in the first half, while sealing the game with a late interception. Arcarolli, struggling through a leg injury, went 10-of-17 for 165 yards and two touchdowns. Also, the Lions’ running back Carlos Gomez (‘19) ran the ball eight times for 90 yards, with a 73-yard touchdown in the third quarter. The Cougars had to deal through numerous penalties, ejections, and injuries throughout the game.Running back Elijah Adkins (‘19) was ejected early in the game after a scuffle with several West players. Although the Cougars lost running backs Elijah Adkins and Nick Gazzola, East had 80 rushing yards on 23 attempts in the first half. After the Lions touchdown on their first possession, both teams did not score until Ioannucci’s second touchdown in the second quarter. Later in the quarter, the Cougars scored their only points of the game as Donovan hit Dante Gazzola (‘19) for a five-yard touchdown. Going into halftime, the Lions were leading the Cougars 14-7, as West had over 200 yards of offense and East had over 120 yards of offense. The only touchdown of the second half was Gomez’s 70-yard touchdown run in the third. Throughout the game, The Cougars missed crucial opportunities to stay in the game, but the plethora of penalties distributed by the referees on both teams made it difficult for a team to gain momentum. There were 285 combined penalty yards during the game and 29 total flags. There were multiple personal fouls as well as Adkin’s ejection. 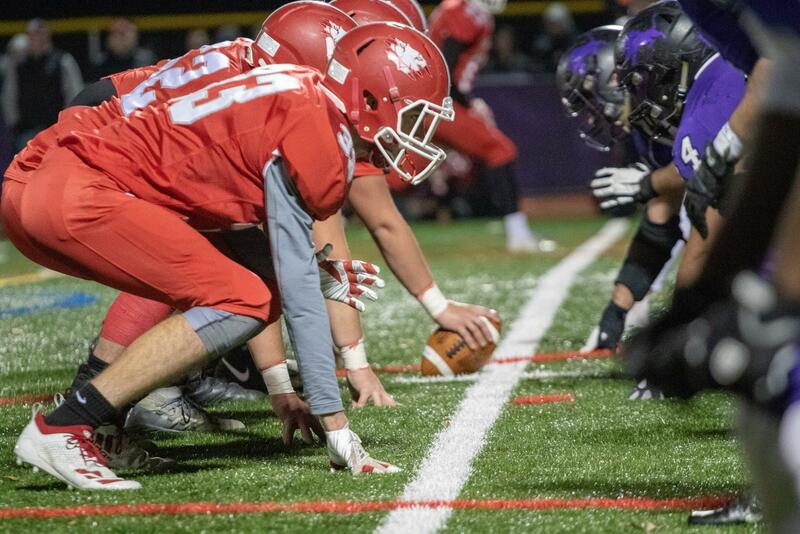 Both the Cherry Hill East Cougars and the Cherry Hill West Lions had improving seasons. The Cougars went 3-7 and, with new Coach Daley, implemented a more well-balanced offense. The Lions went 6-4, and with Arcarolli and Ioannucci returning next season, their team looks to be promising. The Thanksgiving cross-town rivalry game is very significant in Cherry Hill, and the Lions will get to hold the “Boot” trophy in their school for another year. Check out some photos from the game!